These two old foes, who first met in 1909, lie second and third in the table, only separated by goal difference. It’s a crucial game for both sides as they look to close the 5-point gap on leaders Manchester City. 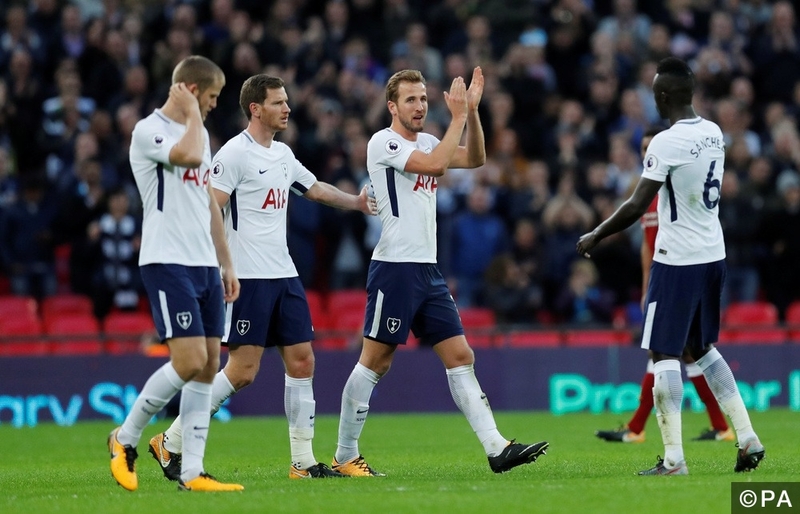 It’s impossible to write about Tottenham at present without mentioning Harry Kane. After his 2 goals in last weekend’s 4-1 win against Liverpool, Kane has now banged in 45 goals in 2017 for club and country. Kane is also the Premier League’s (PL) top scorer this season with 8 goals, despite not scoring at all in August. Manchester United slipped to their first defeat of the season last week away to promoted Huddersfield. Nevertheless, United are undefeated at home in their last 21 league games and have only lost to Tottenham at home twice in 31 games since 1989 (all comps.). That said, Tottenham have won 7 of their last 8 on the road in all competitions, drawing the other game at Real Madrid. The last 5 games between these sides have gone the way of the home side. Jose Mourinho’s side are yet to concede a goal at home in the PL this season, while Tottenham have only conceded 2 away. Mourinho has a 75% win rate against his Tottenham rival Mauricio Pochettino. Kane is a slight doubt for the game with a hamstring injury, while United find themselves amid an injury crisis. Be sure to check out the team news in the lead up to the game. **UPDATE** Kane is set to miss the match!